Graduated from Silesian University of Technology and Silesian International Business School. Since 2013 responsible for research and implementation of innovations, especially in the field of Smart Grids in TAURON Dystrybucja. Coordinator of Company’s Scientific Council. He was responsible for market research, development strategies and development activities in the Power Research & Testing Company ENERGOPOMIAR Ltd and Vattenfall Network Services Poland. Member of the international R&D team within Vattenfall group. Experienced in implementing innovative projects with foreign partners from Europe, America and Asia. 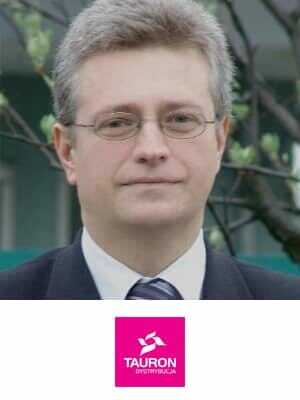 The co-author of TAURON Strategic Research Agenda for Smart Grid Services.